Carriage of sperm is not the only function of seminal fluid in mammals. Studies in mice show that at conception, seminal fluid interacts with the female reproductive tract to induce responses which influence whether or not pregnancy will occur, and to set in train effects that help shape subsequent fetal development. 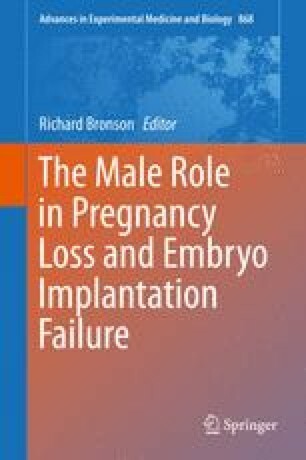 In particular, seminal fluid initiates female immune adaptation processes required to tolerate male transplantation antigens present in seminal fluid and inherited by the conceptus. A tolerogenic immune environment to facilitate pregnancy depends on regulatory T cells (Treg cells), which recognise male antigens and function to suppress inflammation and immune rejection responses. The female response to seminal fluid stimulates the generation of Treg cells that protect the conceptus from inflammatory damage, to support implantation and placental development. Seminal fluid also elicits molecular and cellular changes in the oviduct and endometrium that directly promote embryo development and implantation competence. The plasma fraction of seminal fluid plays a key role in this process with soluble factors, including TGFB, prostaglandin-E, and TLR4 ligands, demonstrated to contribute to the peri-conception immune environment. Recent studies show that conception in the absence of seminal plasma in mice impairs embryo development and alters fetal development to impact the phenotype of offspring, with adverse effects on adult metabolic function particularly in males. This review summarises our current understanding of the molecular responses to seminal fluid and how this contributes to the establishment of pregnancy, generation of an immune-regulatory environment and programming long-term offspring health.